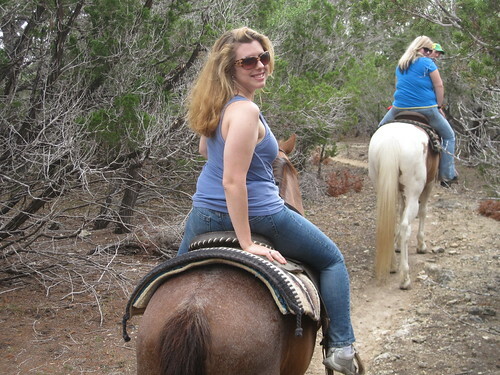 Many guests enjoy a one-hour trail ride in the wide open spaces of Rancho Cortez. You’ll be matched with just the right horse and receive a personal saddle check before we set off. Your group will also have its own personal wrangler guiding the way. Let us know if you have more time — we’ll be delighted to set up longer trail rides! If you have two hours or more, you can explore even more gorgeous surroundings. Don’t forget to bring your camera for great photos of the countryside and possibly, some wildlife! We’ll also be glad to arrange photo opportunities of your group. We are one of the best San Antonio Attractions, and a great thing to do with the kids while in the San Antonio area. A ride through the beautiful Texas Hill Country!